Saturday, March 9 11:00 a.m. to 4:00 p.m.
 How much do I need for a down payment?  What are my rights with respect to fair housing and fair lending?  What is the importance of credit and a credit score?  What is the role of the not‐for‐profit counselor, realtor, inspector, aƩorney and lender?  Can I get help with my down‐payment and closing costs?  How do student loans affect my ability to own? 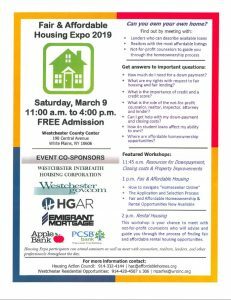 Housing Expo participants can attend seminars as well as meet with counselors, realtors, lenders, and other professionals throughout the day. Dear MVUT friends and members. As always, MVUT is organizing the Westchester bus to Albany for the annual NPP Lobby Day on March 6. We want as many Mt. Vernon tenants to join us on this important trip. 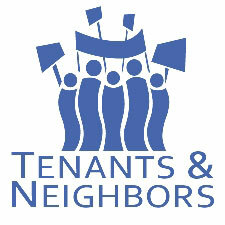 The NPP is MVUT’s largest funding source and it is essential that the State Legislators see us in Albany demanding increased funding for MVUT and the other five (5) Neighborhood Preservation Companies (NPCs) who receive State NPP funding. There’s a lot of new legislators this year and it’s important that we educate them about the great work MVUT does. You are our best ambassadors communicating that message to the Legislators. So please “Get On The Bus”. Round trip bus fare is $ 25.00. If you can’t afford the fare, we’ll get a scholarship for you. Similarly, if you can’t go, please sponsor one (! ), two (2) or more who cannot afford the fee. For more info, call the MVUT Office at (914) 699-1114.